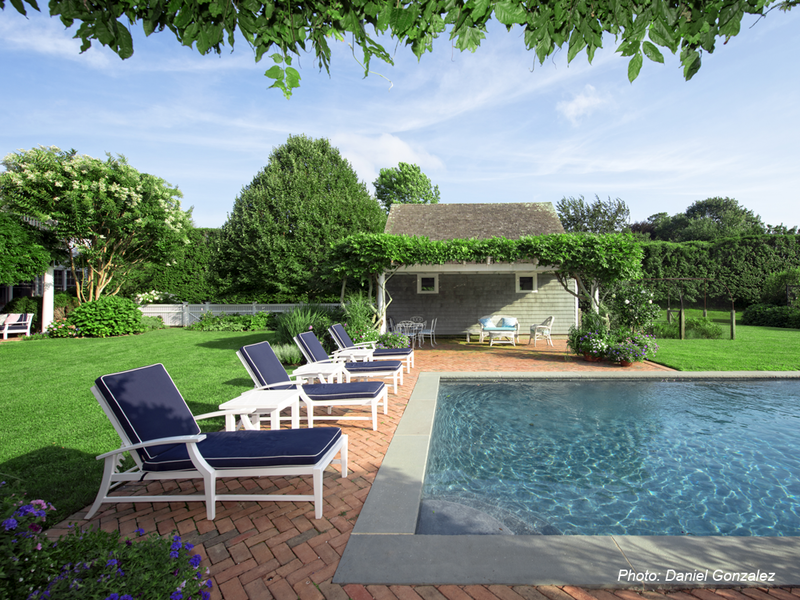 This private East Hampton cottage's simply designed landscape suits its owners to a T. The design centers on a bluestone edged back yard pool flanked by a pool house and vine covered trellises with chaise lounges perfect for lazy weekends away. A vegetable garden was included in the back yard as well. The path approaching the front door was kept low key with gridded bluestone slabs, and the plantings are simple, classic, and respect several mature specimen trees. 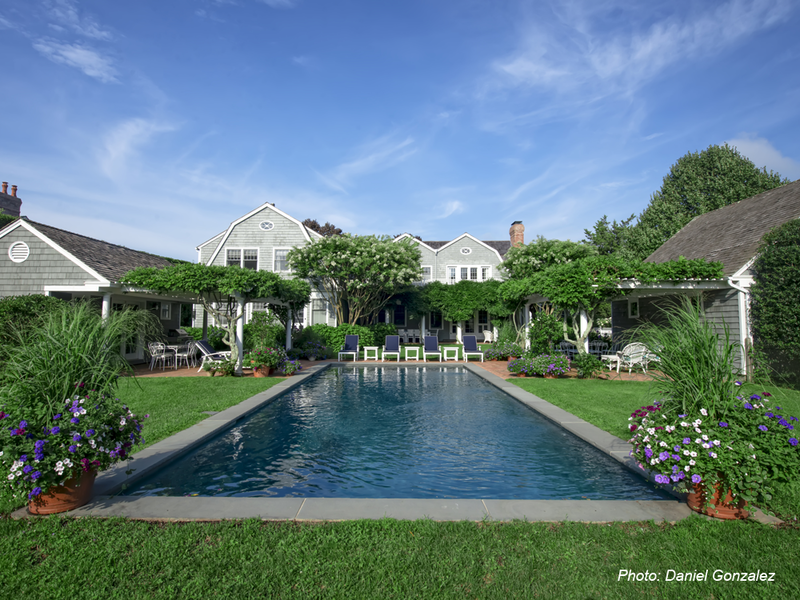 This residence was featured on the New York Times in August, 2016.